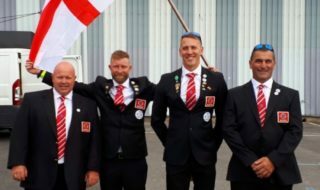 Six anglers from the crack Midlands outfit were able to represent their country after winning the Embassy Division One National in 2002, and skipper Jeff Perrin chose Steve Williams, Tony Barker, Ricky Teale, Nigel Bull and Mark Warren to join him on the 1000-mile journey. But after a successful if very hot five-day practise period, a few lost fish and one bad result cost the team dear, as they ended up just two points away from the bronze medal, won by a Hungarian side. The French team Sensas 28 were a further 20 points ahead in silver, with the brilliant Italian side team Trabucco cruising to gold. Skipper Jeff Perrin said: “We didn’t have the rub of the green with the draw. There were ten end pegs on each match and we didn’t draw any of them. If we had, we’d have had a medal. The result was all the harder to take because Jeff Perrin and Ricky Teale both lost vital carp, although the real killer was a disastrous 22nd in section on Day One for Tony Barker. 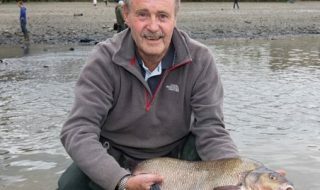 “I felt sorry for Tony because he was possible the most solid angler in practise,” said Jeff, who added that he felt lost fish cost him an individual medal. 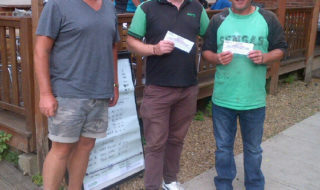 The full report on the match is in the next issue of Midland Angler which is out on July 10th.